Tonight on NBC’s Emmy Award-winning musical competition The Voice airs with an all new Tuesday, October 24, 2016, season 11 episode 12 and we have The Voice recap right below. On tonight’s The Voice episode, The knockout round continues. 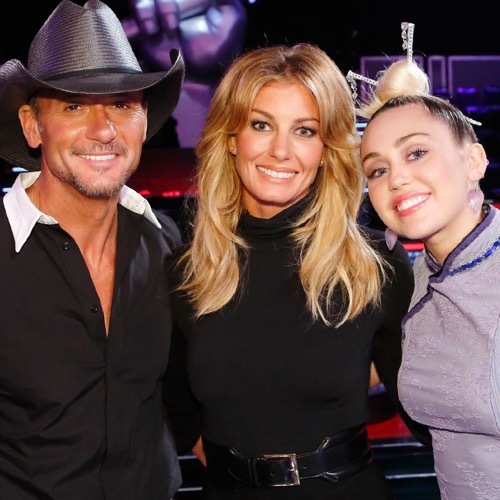 Did you watch last night’s episode where The Knockout Round premiered and for the first time in “Voice” history, the coaches enlisted not one, but two Grammy Award-winning artists? If you missed the episode and what to find out what happened we have a full and detailed The Voice recap, right here for you! #VoiceKnockouts starts with the judges hassling each other and Alicia telling Adam it’s not nice to pick on Blake. Tim McGraw and Faith Hill are there as mentors again and the rehearsals start after some hug time. Courtney has chosen River Deep Mountain High by Tina Turner and the #TeamBlake artist is thrilled to meet Faith. Bindi is Blake’s steal and she has chosen Son of a Preacher Man by Dusty Springfield. Courtney is up first and wails like a pro. Bindi is next and she also kills it. Alicia says she liked Bindi’s growl and strength and calls Courtney superwoman. She chooses Courtney. Miley says she loves the texture of Bindi’s voice. Miley says Courtney exploded and she needs to watch out for her. Adam says Bindi struggled a bit and needs a confidence boost. Adam says Courtney is a shining superstar maniac soul queen and says she’s one of the best they’ve had. Blake says Bindi is truly special and makes him smile. Blake says Courtney was like an exploding volcano. Blake chooses Courtney for the Live Playoffs. Billy and Poncy are #TeamAdam. Faith and Tim know Billy from his kid country days. Tonight he’s singing Rachel Platten’s Fight Song. Poncy is doing Ed Sheeran’s I See Fire. Faith and Tim have lots of notes for both of them on tweaking their performances and then it’s time to perform. Ponciano is up first and does well but Billy brings down the house. Blake says Ponciano did great but says Billy made him feel it and it was undeniable. Alicia says she enjoyed Ponciano and she was lost in it when he sang. Alicia says Billy pulled out a lion and it came through clearly. Miley says she listened to him when she was little and loves that the show focuses on the voice and says his is amazing. Miley says Ponciano was great too. Adam says Ponciano was the best he’s been and killed it. Adam says Billy emotes and draws people in and has a special gift. Adam says he’s honored to have both on his team then decides to take Billy to the Live Playoffs. Ponciano thanks Adam for his help and inspiration. Adam says he hates that but says he thinks Billy can win this whole thing. This #TeamAlicia Knockout should be interesting. Belle says Tim kissed her on her hand when she was 8 and was at his concert. Belle has chosen Don’t Dream It’s Over by Crowded House. Christian chose Superstar, the Luther version. They get their notes and it’s time to sing! Belle is up first with her quirky 80s cover. Christian does a power ballad. Miley says she doesn’t want Belle to get eaten up by the music industry and says she fell in love with Christian. Adam says he felt it too and it made him feel weird. Adam says he’s obsessed with Christian’s voice. Adam says they are all fans of Belle and this can’t be an easy decision. Blake says he loves Belle but would give it to Christian for his vocal explosion. Alicia says both of them delivered and loves Belle’s voice and says she’s so dope. Alicia tells Christian she loved how he worked for this. Alicia chooses Christian to take to the Live Playoffs. She says he earned the Knockout. Miley slaps her button so fast to steal Belle from Alicia. She runs up to hug her and Belle starts crying. Carson says that was the fastest steal in The Voice history. Next week are more Knockouts and Alicia has the final steal yet to play.